The largest city in Turkmenistan, Ashgabat is situated between both beautiful mountains and expanses of desert. Its scorching summer climates and interesting history make it an impressive and unusual place to visit. With its newly built white marble tower blocks, Ashgabat has changed a lot in the last 100 years. Why not visit Independence Park to see the largest fountain in the world, which is next to its thriving shopping centre. You won't be short of things to do here; make sure you find the town centres "Inspiration Valley," an art-park complex that is a favourite with residents and will keep you entertained all day. Don't forget to visit Ashgabat's very own theme park, World of Turkmenbashi Tales; this huge theme park based on fairy tales will be a day trip to remember. If you are interested in the historical and cultural aspects of the city then it certainly isn't short of museums, and standing up above the skyline is the incredible Azadi mosque, a breathtaking structure that is well worth visiting; make sure you don't miss the chance to take a photo of it at sunset. This is not your usual holiday destination, but it will certainly be one you won't forget. Best Fares to Ashgabat ! 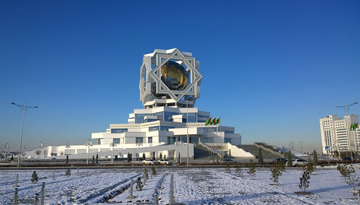 Discover Ashgabat with Lufthansa. Book now flights to Ashgabat from London at just £596, include return. 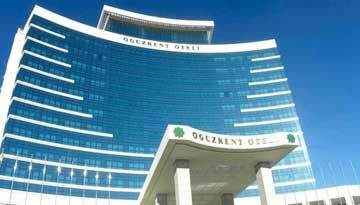 Unmatchable comfort and exclusive luxury at Sofitel Oguzkent Ashgabat with 3 star accommodation. 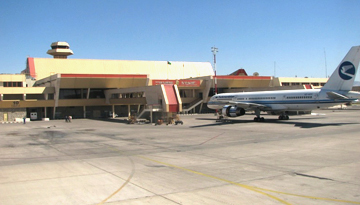 Fly from London Gatwick - Ashgabat & Stay for 7 nights with 4 star accommodation. Include Bed & Breakfast.